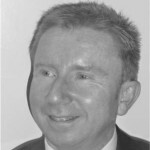 Colin Callow has over a decade of experience working with SMEs and NHS organisations to develop innovative solutions to intractable health and social care problems. During his career he has forged a range of commercial partnerships between the NHS, Academia and Industry, developed innovative technologies and service solutions for the NHS and international markets and fostered collaborative technology adoption. He has held leadership roles at the NHS National Innovation, the NHS Institute for Innovation and Improvement and the NHS Technology Adoption Centre. 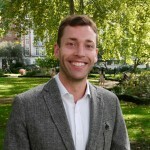 He remains an innovation advisor to NHS England and Trustech, the NW NHS Innovation Service and is Director at the Innovation Development Company. As Programme Director Colin works closely with our programme managers to design and lead the programme, and provides 1:1 tailored support to each venture. Frances is an experienced and successful sales management professional, having been in senior sales and marketing roles across the technology and healthcare sectors for over 20 years. Over the past eight years she has held a number of NHS Primary Care Trust board positions including Chair of NHS Outer North East London and Deputy Chair of NHS North East London and the City, caring for the health needs of nearly two million people with a budget of £3.4 billion. 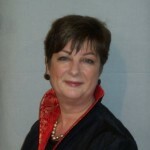 Most recently, Frances was an interim non-executive director on the Board of the East of England Ambulance Trust and currently she is a consultant to UK Trade and Investment working to attract investment into the medical technology and healthcare sectors. Frances provides strategic support to HSI ventures, focusing on opportunity identification and sales conversion. Alongside Ana Lemmo, Andy designed and executed delivery of our first accelerator programme. He heads up Numbers for Good’s social investment healthcare work, advising organisations on growth strategy, organisational development and finance raising. He is currently supporting a range of healthcare focused ventures grow their revenues, explore outcome based commissioning and raise investment. Their operations span nutrition, exercise, diabetes, hearing loss and mobile apps and services addressing social isolation and mental health issues. Andy has ten years’ experience helping organisations grow and scale their impact, including finance and management consultant roles with Deloitte and Accenture Development Partnerships. His previous health experience includes working with PCTs and Foundation Trusts on cost transformation and procurement savings programmes and on strategic redesign of clinical service provision across hospitals. Ana brings nine years of experience in social entrepreneurship and innovation. 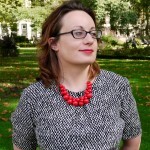 Her current responsibilities as Senior Business Manager at UCL Business, UCL’s Technology Transfer Office, include identifying and supporting social enterprise opportunities arising from research throughout UCL departments and partner hospitals with business plan development, contractual and company formation advice, social impact measurement advice and identification of social investors. Prior to joining UCLB, Ana was Development Manager at UnLtd, the Foundation for Social Entrepreneurs, providing a package of seed funding and support to over 50 social entrepreneurs in the UK. Prior to this, Ana planned and implemented economic development and women’s health initiatives in Massachusetts, U.S. She holds a BA in International Relations from Universidad de San Andrés, a graduate certificate in Gender, Leadership and Public Policy from the University of Massachusetts and a Master in Business Administration from Oxford University. Ana will work with the ventures week to week as well as overseeing programme delivery and execution. Sophie is Operations Manager at Numbers for Good. Prior to this she had been a senior manager in a law firm for over 10 years, holding a variety of positions, including HR Manager, Business Development Manager and Practice Manager. As Business Development Manager she was responsible for organising, publicising and running events; securing speaking and writing opportunities; developing a new website; and regular networking and relationship building. She is a UCL graduate and has maintained links with the university, including having been a mentor under the SMILE programme run by UCL Advances. Sophie manages HSI logistics and operations.